Almost all antipsychotic drugs (APDs), irrespective of whether they belong to the first-generation (e.g. haloperidol) or second-generation (e.g. clozapine), are dopamine D2 receptor antagonists. 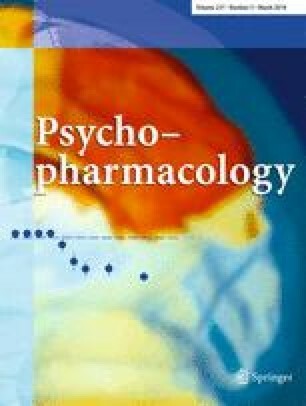 Second-generation APDs, which differ from first-generation APDs in possessing a lower propensity to induce extrapyramidal side effects, target a variety of monoamine receptors such as serotonin (5-hydroxytryptamine) receptors (e.g. 5-HT1A, 5-HT2A, 5-HT2C, 5-HT6, 5-HT7) and α1- and α2-adrenoceptors in addition to their antagonist effects at D2 receptors. This short review is focussed on the potential role of α2-adrenoceptors in the antipsychotic therapy. Schizophrenia is characterised by three categories of symptoms: positive symptoms, negative symptoms and cognitive deficits. α2-Adrenoceptors are classified into three distinct subtypes in mammals, α2A, α2B and α2C. Whereas the α2B-adrenoceptor seems to play only a minor role in the brain, activation of postsynaptic α2A-adrenoceptors in the prefrontal cortex improves cognitive functions. Preclinical models such as D-amphetamine-induced locomotion, the conditioned avoidance response and the pharmacological N-methyl-d-aspartate receptor hypofunction model have shown that α2C-adrenoceptor blockade or the combination of D2 receptor antagonists with idazoxan (α2A/2C-adrenoceptor antagonist) could be useful in schizophrenia. A potential benefit of a treatment combination of first-generation APDs with the α2A/2C-adrenoceptor antagonists idazoxan or mirtazapine was also demonstrated in patients with schizophrenia. It is concluded that α2-adrenoceptors may be promising targets in the antipsychotic therapy.